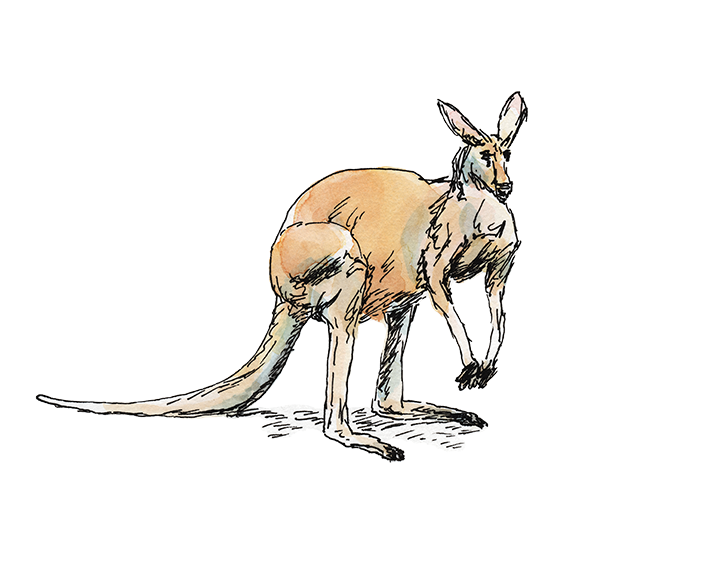 Pen and watercolor kangaroo. Drawn with a TWSBI Mini fountain pen (extra fine nib) using Platinum Carbon Ink; Winsor & Newton watercolors; Canson XL Mixed Media paper. Visit my artist shop at Redbubble to purchase this design as a tote bag, studio pouch or throw pillow.